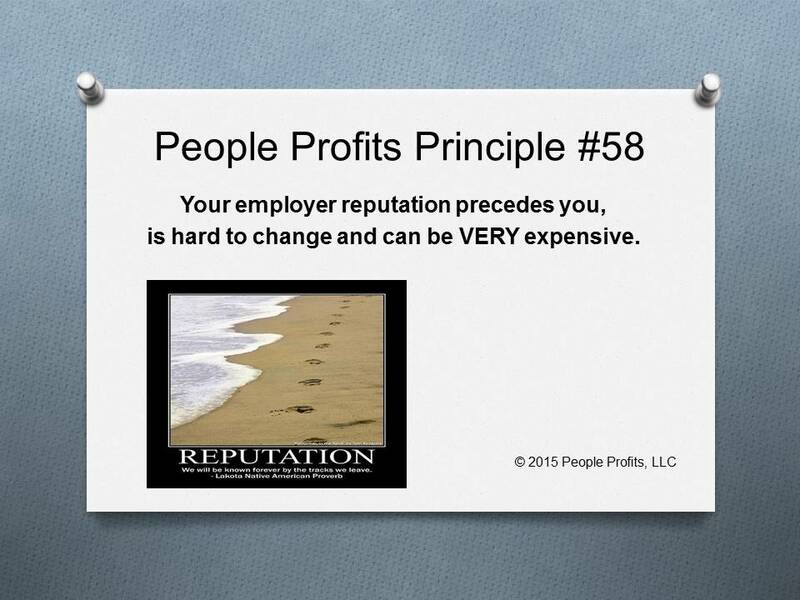 What is your Employer Reputation? Does it scare you if you don't know? Is it what you want it to be? Is it effectively attracting the people you want? Or is it pushing away the very people you want? Do you need help in knowing how to manage your employer reputation and how to make it better? The cost of a badly managed reputation is hidden but very expensive. Employer reputations are either managed or assigned by the market. If you are not managing your reputation then a reputation is being assigned to you and it is not good. Who is assigning it to you? Your past employees, candidates that applied and were not treated well and many many other people. The talk is constantly going on outside the walls of your business. Much of the talk may or may not be deserved and a bad reputation is hard to turn around quickly.